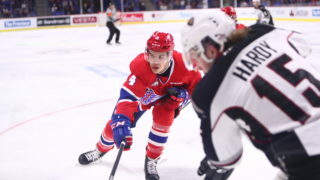 SPOKANE, Wash. – The Spokane Chiefs came out on the wrong end of an eight round shootout on Saturday night at Spokane Arena, falling to the Kootenay ICE, 3-2. 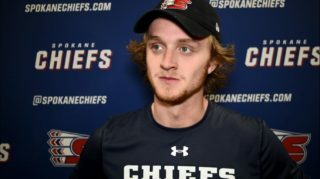 Jaret Anderson-Dolan led the Chiefs’ effort with a goal and an assist as Spokane pulled within two points of Portland for the final Western Conference playoff wild card spot. Kootenay’s Matt Alfaro got the scoring underway with a shorthanded goal late in the first period, firing a shot from the right circle to the far post to beat Chiefs’ goaltender Jayden Sittler. 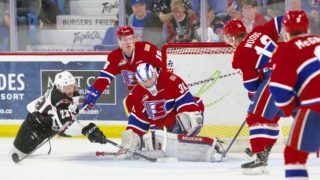 Spokane evened the score at the 18:15 mark of the second period as Keanu Yamamoto broke through after a long power play for the Chiefs, punching his 16th of the season after a cross-crease pass from Hudson Elynuik. The ICE regained the lead with another late period goal, this time with only 18 seconds left in the second as Michael King scored just his second of the season. Alfaro lost his stick early in the shift but was able to recover in time to feed King from the high slot for his second point of the night. The Chiefs once again equalized it with Anderson-Dolan’s 19th of the season, sticking in his own rebound while falling across the Kootenay goal at the 7:57 mark of the third. The shootout was a marathon, with neither team scoring through 15 shooters until Kootenay’s Reed Morison finally beat Sittler to give the visiting team two points in the standings. 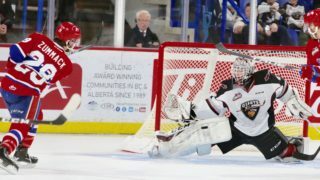 The Chiefs outshot the ICE 47-23 including 10-1 in the overtime period but rookie netminder Jakob Walter stood tall with 45 saves to earn third star honors. Spokane finished 1-for-6 on the power play and 6-for-6 on the penalty kill. 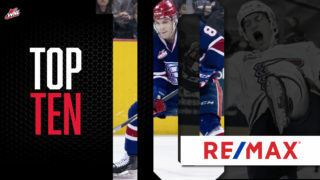 Spokane gets a chance to bounce back and get back in the win column on Sunday night at Spokane Arena as they host the Seattle Thunderbirds. The game will start at 5:05 p.m. with doors opening at 4 p.m. Mike Boyle will have the radio call beginning with the pre-game show at 4:30 p.m. on 1510 KGA NW Sports Talk. 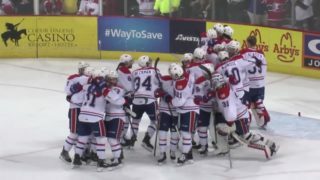 Tickets for Sunday night and all Chiefs home games are available in-person at the Chiefs’ Ticket Office, over the phone at 509-535-PUCK and online at ticketswest.com or spokanechiefs.com.